It’s a good idea to have your brakes inspected every 12,000 miles or about once a year. A Jiffy Lube® technician will conduct an inspection of the brake system’s linings and other key components and provide you with a written evaluation, including a detailed diagnosis of the findings. Service recommendations will be based on your vehicle manufacturer’s recommendations and the condition of the brake components that impact system performance. Find brake inspection locations here. Tires are the only parts of your vehicle that actually touch the road, so proper inflation, even tread wear and new tires, if necessary, are important. 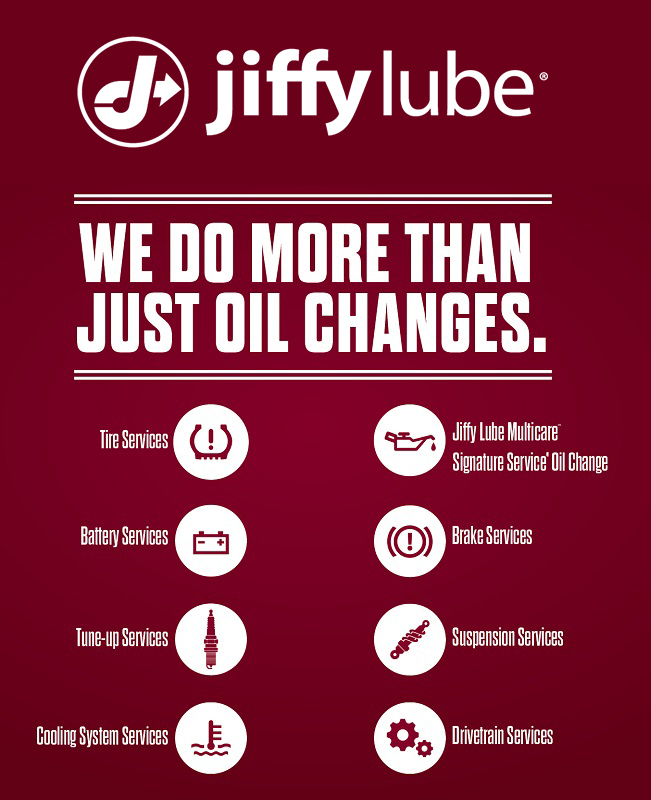 That’s why Jiffy Lube® offers a full range of tire services – including new tires. In the unfortunate event you get a flat tire, come by Jiffy Lube®. Select Chicagoland Jiffy Lube locations offer flat tire repairs, as well as the option to buy brand new ones. So what could have been a major headache is just a minor inconvenience. Vehicle alignment service helps your tires last longer, can help improve gas mileage and provides tighter handling to give you and your passengers a better ride. An alignment inspection and service can keep you worry free and your vehicle on the road longer in Chicago’s tough driving conditions.